Lowering inflammatory cytokines made by the immune system is essential for Lyme disease recovery. In this article I discuss why this is so and lay out a nutritional support plan using supplements to lower cytokines. heavy metals toxins like lead and mercury. In the right amount they promote healing. In excess, they cause all of the major Lyme disease symptoms and dysregulate the immune system. The problem in chronic Lyme and associated diseases is that they are usually made in excess. Fortunately there are some great steps you can take to lower cytokines. decrease viral and bacterial replication. So to be correct, most Lyme symptoms are really excess cytokine symptoms. And other conditions that increase cytokines add to your cytokine pool. "That is why some people with Lyme disease must also address other cytokine producing problems like MTHFR and mold detox issues, yeast overgrowth in the intestines, parasites, and viral infections." A cytokine flare that occurs when a person starts killing Lyme germs is called a Herxheimer die-off reaction. This occurs when the immune system sees dead bug parts from killing Lyme germs and toxins that get released form the inside of the germ. In this situation the immune system makes more cytokines causing a person to feel much worse. The recording is from our Lyme Q&A webinar Conversations with Marty Ross MD recorded 3/9/16 when Dr. Ross practiced in Seattle, Washington. Once the immune cells are stimulated, an intracellular messenger called NF-kB (nuclear factor kappa beta) causes genetic programming for the production of cytokines and the turning on of white blood cells. Antioxidants like glutathione, quercetin, and curcumin lower oxidation triggers for NF-kB. Supplements, like curcumin also block the function NF-kB. Within the white blood cells, the production of cytokines require enzymes called kinases. Herbs that block kinase enzymes, like quercetin, can help lower ctyokines. Cells also have a genetic messenger that increases cell production of antioxidants like glutathione. This messenger is called Nrf2 (nuclear factor 2). There are some supplements like resveratrol and curcumin that turn on Nrf2. Antioxidants decrease oxidizing agents that trigger cytokine production. So turning on Nrf2 creates antioxidants which decrease cytokine production. Sleep also has a big impact on cytokines. Lack of sleep triggers more cytokines. And high cytokines can cause insomnia. First it is important to get 7-9 hours of sleep a night. Sleep lowers cytokines. Antioxidants. Based on the work of Martin Pall, PhD, it is critical to lower oxidizing agents that trigger cytokine production. Glutathione which is made in every cell and its building blocks alpha lipoic acid (ALA) and n-acetyl cysteine (NAC) are helpful. Curcumin which is a component of turmeric and quercetin are also good antioxidants. Detox. 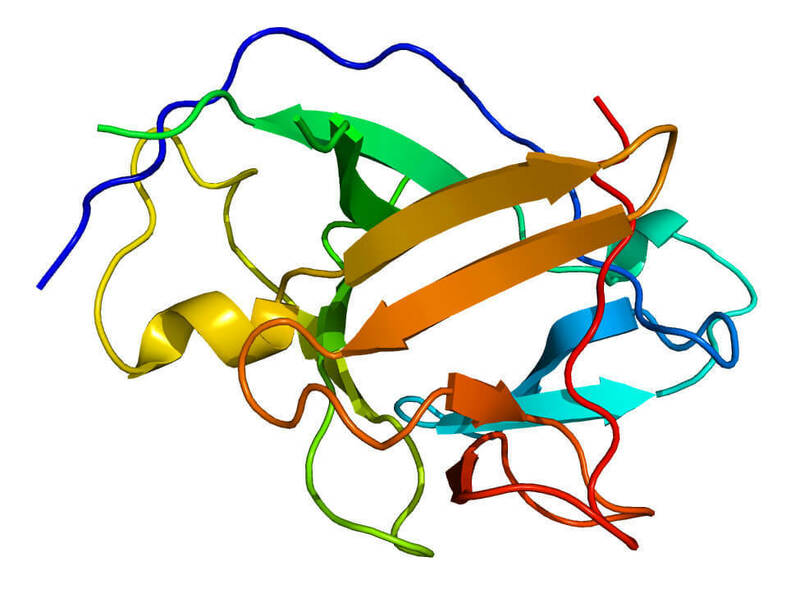 Glutathione and its precursor building blocks, ALA and NAC also help remove toxins. NF-kB. Curcumin, quercetin, and resveratrol decrease NF-kB induced genetic signals to produce cytokines. Nrf2. Curcumin, resveratrol, and black tea extracts containing the polyphenol EGCG increase Nrf2 which increases cell level production of glutathione and other antioxidants. Kinase Enzymes. Quercetin also blocks kinase enzymes required in the production of cytokines. Blocking kinases with quercetin interferes with the cytokine production line. Use a good multivitamin that includes alpha lipoic acid, n-acetyl cysteine, antioxidants, and other micronutrients that decrease oxidizing agents and support liver detoxification. I prefer multivitamin products in powder form made by Thorne or Integrative Therapeutics. Sleep 7-9 Hours a Night. See the Sleep Chapter to learn techniques to aid sleep and sleep prescription and supplement options. AntiCytokine Combination (Find a combination product that contains curcumin, resveratrol, black tea extract, and NAC. Cytoquel by Researched Nutritionalsis one product that contains these herbs.) 1-2 pills 3 times a day. For more severe cases add oral glutathione while continuing the multivitamin and curcumin or AntiCytokine Combination. Glutathione is also a great choice if there is nerve pain or numbness. If the addition of glutathione is not effective then consider adding quercetin. This combination works to block the cytokine production line and decreases oxidizing agents that trigger production. These treatments can take 1-2 weeks for maximum effect. Glutathione 400-500 mg (as oral liposomal glutathione) 1 or 2 times a day. Quercetin 250mg 2 pills 3 times a day. If glutathione is not tolerated then work with one or a combination of the following anti-oxidants that are used to make glutathione. Alpha Lipoic Acid 350 mg 1 pill 2 times a day. Step 3: Severe Situations like Herxheimer Die-off Reactions. For severe situations and bad Herxheimer die-off reactions that are not improving with Step 1 and Step 2 use IV glutathione as a potent antioxidant and to support liver detoxification. This is administered in an integrative medicine physician's office. Another option is to use glutathione in a nebulizer. Glutathione IV is stronger than glutathione by nebulizer in my experience. Using a nebulizer, you breath in a fine mist of the glutathione which is absorbed into the blood throught the blood vessels in the lungs. Sometimes start a person with four IV glutathione treatments and then change to glutathione by nebulizer to continue the treatment. Glutathione IV 1200mg to 2500mg 2 times a week for a minimum of four treatments. If it helps but there are still improvements with the last treatment, consider weakly treatments until improvements plateau. You will likely feel more tired after the first treatment. Glutathione by nebulizer 200mg/ml 2ml 2 times a day for adults. Children can take 100mg/ml 1ml to 2ml 2 times a day. Bocci V, Valacchi G. Nrf2 activation as target to implement therapeutic treatments. Frontiers in Chemistry. 2015;3:4. doi:10.3389/fchem.2015.00004. D’Andrea G. Quercetin: a flavonol with multifaceted therapeutic applications? Fitoterapia. 2015;106:256–71. Gulcubuk A, et al. Effects of curcumin on proinflammatory cytokines and tissue injury in the early and late phases of experimental acute pancreatitis.. Pancreatology. 13(4):347-354. Krysta K, Krzystanek M, Bratek A, Krupka-Matuszczyk I. Sleep and inflammatory markers in different psychiatric disorders. Journal of Neural Transmission. 2017;124(Suppl 1):179-186. doi:10.1007/s00702-015-1492-3. Linus Pauling Institute, Oregon State University. Curcumin. Micronutrient Information Center; Phytochemicals website. lpi.oregonstate.edu/mic/dietary-factors/phytochemicals/curcumin Accessed August 18, 2018.